Non-fiction, historic fiction, and military history–hard copy and on-line. 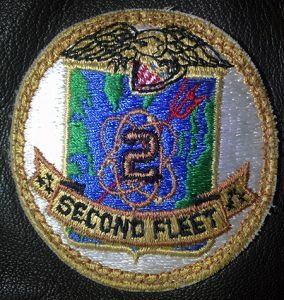 The Navy has announced it is reestablishing the Second Fleet. 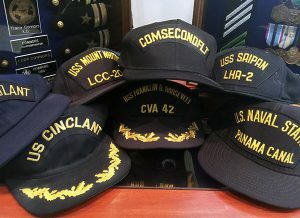 A more fundamental question is where are leaders like Burke, Rickover, and Metcalf (21st Century Navy) to speak up, call out, and decry strategic decisions that undermine or threaten our country? Baited Trap is much more than a heroic war story from the “forgotten war.” It is also the Korean War’s greatest love story, following Wayne and Della Lear, Bobby Holloway, Ron Eaton and Dolly Sharp, and Frankie and Archie Connors as they tried to put their lives and families together even as the Korean War was reaching out to engulf them. Truckbusters from Dogpatch is the most comprehensive Korean War unit history yet prepared–over 700 pages summarizing squadron histories and first person accounts—and includes over 1,000 never before published photographs and images, highlighted by the 8 ½ x 11-inch format. Arguably, Truckbusters From Dogpatch is the most authoritative unit history ever prepared on the Korean War. In addition to consulting formerly classified squadron histories filed monthly throughout the conflict, the author was in touch with hundreds of veterans of the 18th—pilots and ground crew—whose personal recollections add vivid detail and emotion to the facts recounted in the official documents. Eagle Scout: End of a brand that took a century to build? Find what you came for quickly, by using the search box below to search our expanding site or the web. If you can't find what you are looking for, email us using the Contact page. Heading Your Way Select Category A Southern Boyhood BelleAire Press Cat Stories Faith R Connors Ginny Brinkley Honeysuckle Wall Jacksonville University Log Entries Tracy D. Connors, Ph.D.